The world convulses once again. Bloated dragons careen across her flesh. Are devoured in vapors and flames. Crushing our complacency into fear. We see the monster at our door. We must not hide inside our walls. We must not shut out the terror and the pain. We must not close our Selves behind our gates. Is to doom ourselves to the other side of chaos. Hiding from Grendel has always been an arrogant delusion. And we must sally forth to meet them. Entombed instead in anti-life behind our gates. 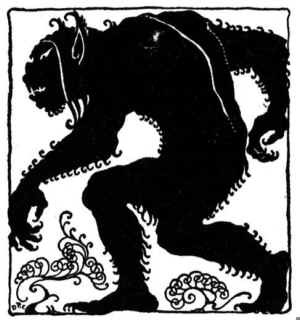 Beowulf sought out Grendel and his mother, and slew them. So we too must come from inside our walls. We must come out into the light of the world. We must seek out the monsters and dispatch them. And set aside our lethal fear and crippling timidity. Our world clamors with exciting diversity. To the brilliant colors, to the ringing songs. Humanity is a glory, and we must remain part of it. We must throw open our doors to the vast adventures of living. Join the choruses of the world’s joyful songs. We must be our most incredible Selves.